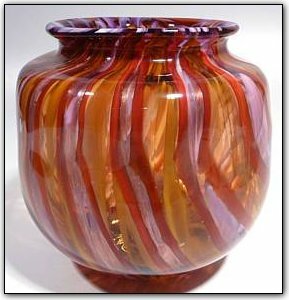 This elegant bowl features deep and rich colors of gold, purple, pink, and red. Both the interior and exterior are breathtaking, and the translucent colors allow both to be visible at once so the colors allowing the colors further opportunity to interact. The shape is very elegant and this bowl also has real gold adventurine highlights added for a real gold sparkle so make sure to zoom in and see the close-up pictures... the more light you shine on it, the more is sparkles!